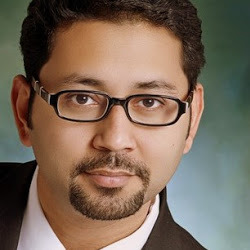 Dr. Rahul Choudaha is the director of research and advisory services at World Education Services. While the steep increase in international student enrollment has advocated diversity on college campuses, it has also been extremely considerate to the financial health of U.S. Institutions. Although, a recent report released by World Education Services (WES), a nonprofit organization evaluating international credentials, suggests that, if American schools fail to tap into non-traditional countries with regards to international recruitment, the budgets of such schools could be in danger. With China, India and Korea continuing to bring forth a prominent number of foreign students to U.S. schools, more than $20 billion from international student enrollment has poured into higher education Institutions, according to Dr. Rahul Choudaha, director of Research and Advisory Services at WES. While these three countries certainly elevated the playing field for international student recruitment, research introduces a few challenges that American colleges could encounter if they neglect other, emerging markets. This leaves schools with the responsibility of tactically choosing whether to infiltrate an existing market or cultivate a new market. In relying on large markets such as China, India and Korea, the risk is that schools could become overly dependent. There is a growing fear that American schools could revisit some of the same struggles that Australian schools endured in 2010, as they were obligated to reduce the number of Indian students at higher education Institutions in order to abide by immigration policies. “Imagine if the same situation happens to the US with China or India being the largest market. This can seriously affect the financial situation of some of the institutions, especially coming from an international student recruitment perspective,” Dr. Choudaha remarked. In addition, the economic stability has played an integral role in evaluating American schools and their reliance on its most efficient markets. Conceivably, the economic shift of these countries could decrease, causing the numbers of international students to also decline. As the economy in both China and India grapples with growth challenges, this inherently presents potential risks in the number of international students able to afford U.S. schools without federal relief. Alternatively, countries including Saudi Arabia, Brazil, Vietnam and Turkey have seen significant growth in their economy, especially within their gross domestic product (GDP), which have reached well over $100 billion this past year. Hence, WES has identified these destinations as emerging markets, exhibiting great potential in regards to international recruitment. Already, U.S. schools have seen an influx of students from both Saudi Arabia and Brazil. With Saudi Arabia bringing in more than 23,000 students and Brazil circulating more than 9,000 students, these markets’ prospectively could generate equivalent streams of revenue like those larger countries tend to produce. Interestingly, the trends in international student growth from these less concentrated countries have not only impacted the cosmopolitan states like New York, California and Washington, D.C., but those smaller, less populated states have experienced more expansion in their international student population. Among those less populated states, Oregon in particular has seen rapid percent growth in its global student enrollment. Enlarging its international student population in 2011 by 45 percent, they have accrued 5,695 students from various geographic locations outside the U.S. The University of Oregon enrolls several students from Saudi Arabia and Vietnam, as these locations are among the school’s top represented countries. Suitably, one of their largest scholarships tailored for global students is their International Cultural Service Program, which awards up to $27,000 in financial aid, almost equaling the yearly tuition of approximately $28,000. According to the WES, including scholarships for international students can build a more diverse “portfolio” of students from overseas, creating a welcoming campus for those foreign students interested in attending American schools. In addition, the idea of a portfolio de-risks American schools by providing alternative options for international recruitment markets.